Natti Natasha is a reggaeton and pop singer and actress. Check out this biography to know about her birthday, childhood, family life, achievements and fun facts about her. Natalia Alexandra Gutiérrez Batista is a reggaeton and hip hop singer and actress from the Dominican Republic. She is more popular by her professional name, Natti Natasha. A native of the city of Santiago de los Caballeros, Natasha started singing at an early age. When she was eight years old, she enrolled at the School of Fine Arts in Santiago for singing lessons and for honing her musical abilities. As she grew up, she developed a deep interest and respect for the likes of Bob Marley, Jerry Rivera, Lauryn Hill, and Ivy Queen. By the time she turned 14, she had begun recording songs for fun. Natasha got her first taste of success as a featured artist in Don Omar’s Latin tropical pop song ‘Dutty Love’ in 2012. That year, she also put out her first and only extended play to date, ‘All About Me’. In the ensuing years, she worked with several other artists before releasing her single, ‘Otra Cosa’, in 2017. 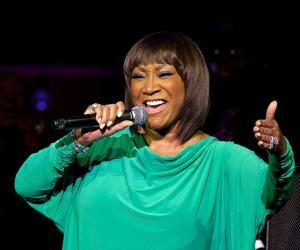 She has since put out eight more singles and has appeared as an actress in the TV series ‘Atlantic City Chronicles’. Natasha is presently signed to Puerto Rican record label Pina Records. Natti Natasha became serious about a career in the music industry in the late 2000s. She came up with her professional name and through her link with producer Linkon El Director, found her way to a New York recording studio. During her stay in the city, she worked with Syko ‘El Terror’ and Kendo Kaponi on ‘Beyond 3000’ and Gyptian and Don Omar on ‘Hold Yuh Remix’, to name a few. Natasha subsequently signed with Don Omar’s record label, ‘Orfanato Music Group’. In 2012, she collaborated with Don Omar once more on his track ‘Dutty Love’. It was put out as the first single from his compilation album, ‘Don Omar Presents MTO²: New Generation’. The track was a roaring success. It not only topped the US Latin, US Latin Airplay, and US Latin Pop charts but also won her three Billboard awards. Furthermore, the song earned the distinction of being one of the most streamed songs on the music platform Spotify. That year, she also released her first EP, ‘All About Me’, through Orfanato. In 2013, she collaborated with Farruko on his track ‘Crazy in Love’. She and Don Omar worked together once more on a track called ‘Perdido en Tus Ojos’ (2015), which was certified Platinum by PROMUSICAE. Natasha left Orfanato in 2015 and went on to sign with Pina Records. In recent years, her activities on YouTube, Instagram, and other social media platforms have helped her achieve immense popularity as a singer. In 2017, she put out her single, ‘Otra Cosa’ (with Daddy Yankee). 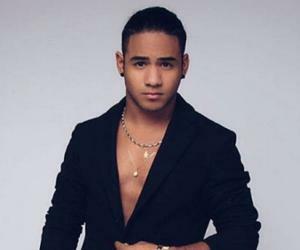 It topped the Monitor Latino music chart. 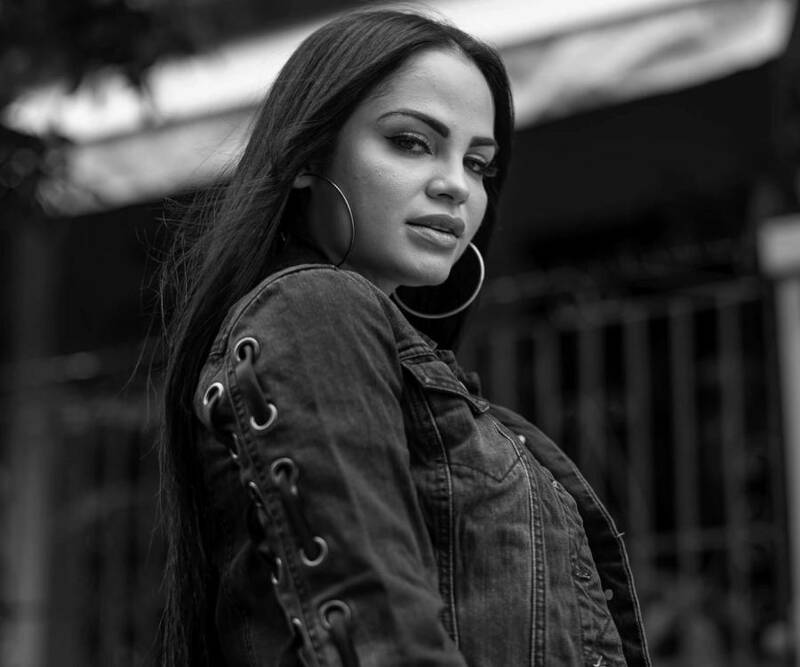 On September 1, 2017, she released her second single, ‘Criminal’ (with Ozuna), through Pina Records. One of the most successful songs of her career, it topped the Spanish Albums Chart and reached the number two spot on the Monitor Latino music chart. It was also certified Gold by FIMI, 4x Platinum by PROMUSICAE, and 15x Platinum (Latin) by RIAA. Natasha began 2018 with the release of ‘Amantes de Una Noche’ (with Bad Bunny), which received the Gold certification from PROMUSICAE and 2x Platinum certification (Latin) from RIAA. She subsequently collaborated with R.K.M & Ken-Y on the song ‘Tonta’. In 2013, Natasha made her acting debut in an episode of the television drama ‘Atlantic City Chronicles’. 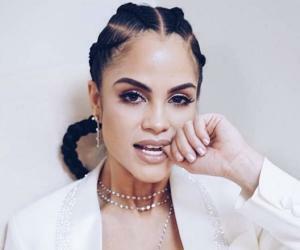 Natti Natasha was born on December 10, 1986, in Santiago de los Caballeros, Dominican Republic, to Alejandro Gutiérrez and Sarah Batista. She developed a deep love for music very early in her life. After she turned eight, she enrolled at the School of Fine Arts in Santiago to take singing classes and improve her vocal skills. She has stated that artists like Bob Marley, Jerry Rivera, and Lauryn Hill have inspired her since she was very young. She has also spoken about her admiration for the Puerto Rican singer-songwriter, rapper, actress, and record producer Ivy Queen and how she has been a fan of Queen since the beginning of the latter’s career. In response, Queen posted the following on Twitter, “Thanks for the respect, admiration. That's having class and more than anything intelligence". Natasha’s father is a college professor and wanted his daughter to follow in his footsteps. When she decided to pursue a career as a singer instead, it took her a while to convince him that this was what she truly wanted to do in her life. Natasha was reportedly in a relationship with Don Omar. She is a vegan and has been so for several years.